In addition to insulating your home, here are a few additional tips to assist you to reduce your enviromental footprint and save energy. Keeping internal doors closed in winter ensures you are heating smaller areas making heaters more effective. Check around your windows and doors for any gaps. 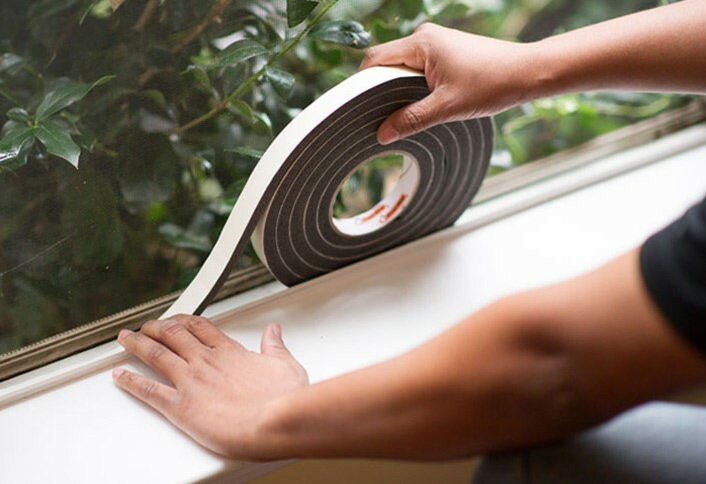 Insulating strips for your windows and doors are inexpensive and can be fitted in minutes helping you to retain heat in winter. Reduce the use of air conditioning by closing curtains and blinds on the sunny side of your home. Shade sunny windows and walls naturally by planting deciduous trees. Retractable awnings are also very effective at keeping your home cooler in summer. 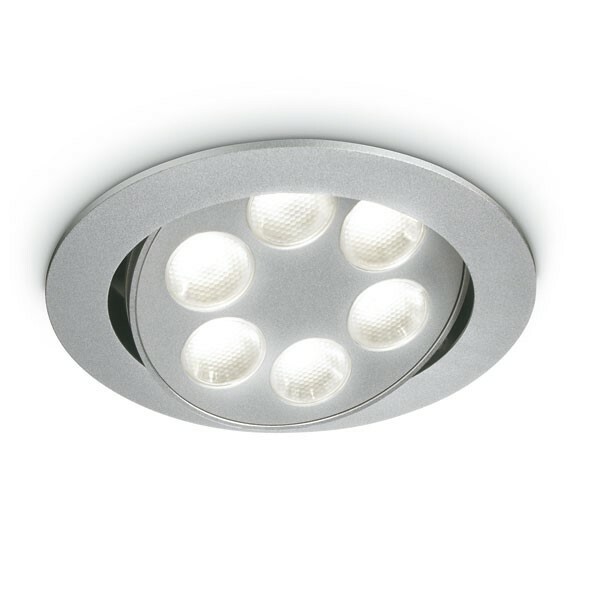 LED light bulbs use 90 percent less energy than incandescent bulbs. Switch out the most widely used bulbs in your home. Then, replace the rest as they burn out. 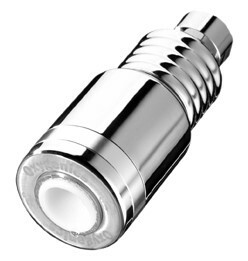 When you fit dimmer switches, you can use only as much light as you need. Using a clothesline in your back yard and let Mother Nature dry your laundry instead of running an energy sapping tumble dryer. 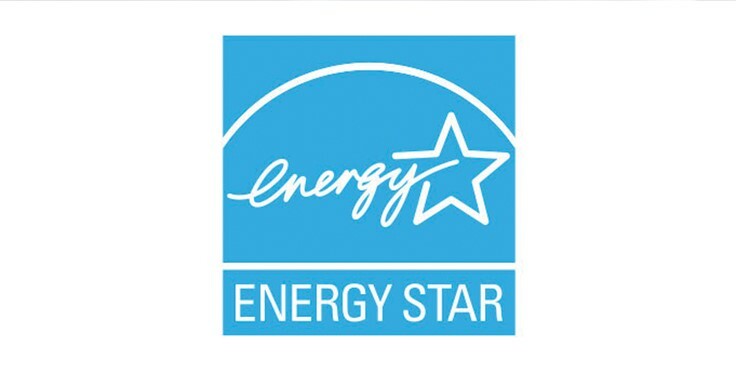 Are your appliances older than ten years, when you do consider replacement then look to do this with Energy Star models, these use considerably less energy. Less water flowing through your shower head means less water to heat and less water used! Keeping your fridge & freezer full means they don't have to work as hard and therefore they use less energy. Empty space in your fridge or freezer wastes not only space but energy too. Keep the air circulating in your home, and your air- conditioner won't have to work as hard. Have your air-conditioners checked and cleaned annually to keep them running efficiently and you will also enjoy cleaner air! Lots of electricity is consumed by your washing machine and dishwasher, washing with full loads will help to minimize the power drain. Around 12% of a home's electricity is used to heat water. You can lower this percentage by setting your geyser thermostat lower (for optimal geyser efficiency you should set your thermostat to 50°C in summer and 60°C in winter). 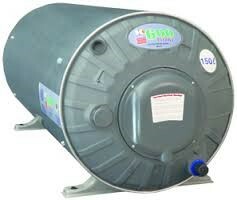 Also fit a geyser blanket and reduce heat loss. Remember to lag two meters of the outlet pipe for even greater efficiency. Turn off the oven 10-15 minutes before cooking time runs out. Your food will continue to cook without using the extra electricity. Condensation makes the fridge work harder and costs you more money. Placing hot foods in your fridge will increase the interior temperature, and cause your refrigerator to work harder. 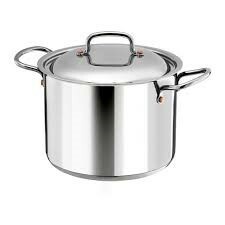 Foods cook faster with the lid on the pot, because the heat can't escape and you then waste less energy when cooking. A microwave uses less electricity then a conventional electric stove and releases less heat into your home. Vampire power or phantom load is working behind the scenes to consume energy even when your appliances are turned off. This “Standby Power” refers to the energy drawn down by an appliance when it’s not in use. By turning off appliances at the wall, you will reduce your electricity consumption. Shower rather than bathing. Also take shorter showers, this does more than just save water – it saves energy, too. Switch lights off when you’re not in the room to save up to 15% on your energy bill. Making a cup of tea? 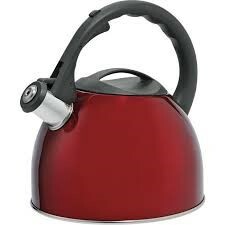 Only fill the kettle with as much water as you need. 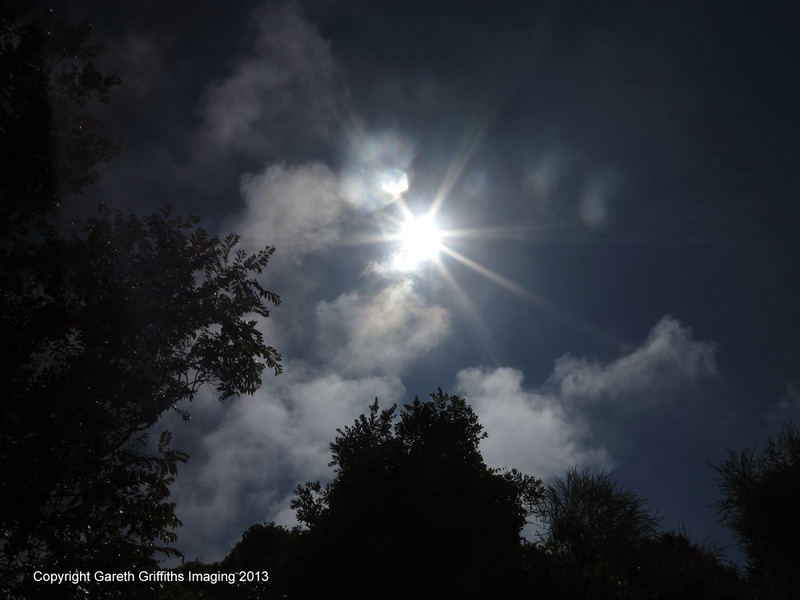 The extremely hot sun's rays penetrate into almost every conceivable cavity bringing an abundance of UV rays, infrared rays and heat. This concentrated cocktail of rays strikes your roof and the majority of these are converted into heat energy that penetrates the roof cavity. The result, a veritable cookhouse inside your building. Join the thousands of South Africans who have discovered the huge benefits of controlling indoor temperature the natural way. Eco-Insulation is made from a natural product, cellulose, which emulates natures way of shading the earth from the hot rays of the sun - like a forest canopy of trees. Can you imagine anything else more natural? Ask your insulation supplier just how much energy has been used in producing their brand of insulation. Eco-Insulation has conceivably the lowest environmental footprint around. Roof insulation over the winter work wonders, house retained the heat very well, we certainly noticed a difference. 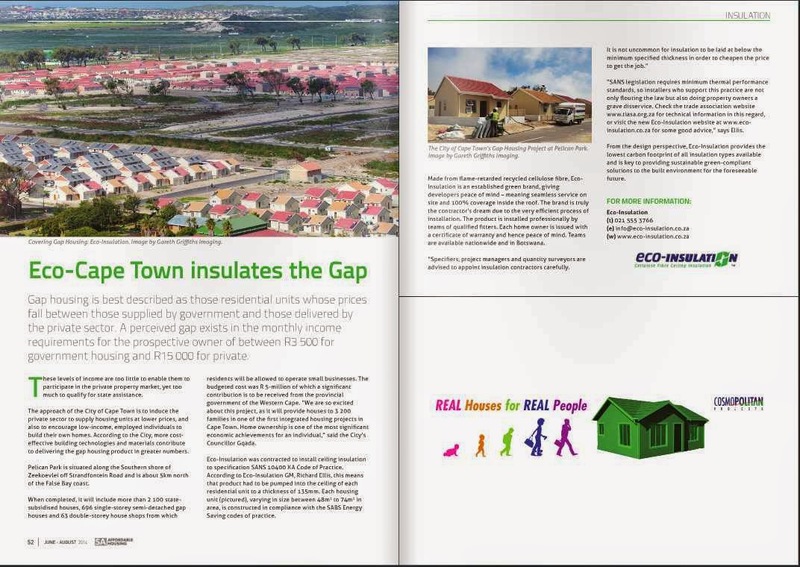 Eco-Insulation's Gap housing project in Cape Town's Southern Suburbs has featured in a popular housing magazine, SA Affordable Housing. 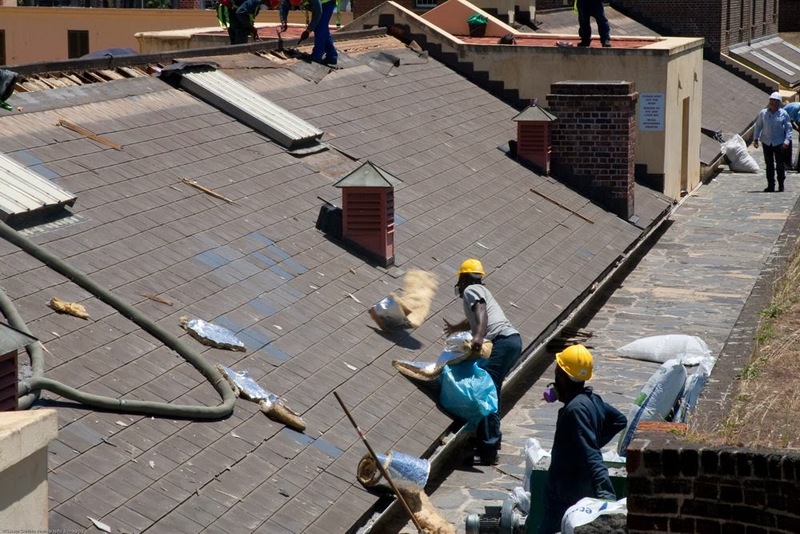 Eco-Insulation is bridging the gap between expensive heating and cooling methods for start up homes by means of its highly effective recycled cellulose fibre, SABS approved insulation. 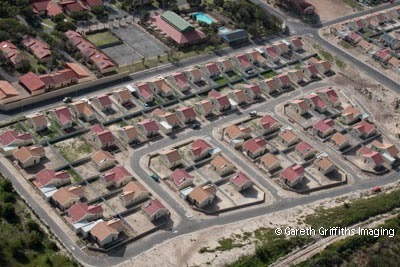 This is Pelican Park, near Zeekoievlei, Cape Town, where we were fortunate enough to be awarded with a contract to fit Eco-Insulation into a number of new Gap homes under construction. Gap housing is best described as those residential units whose prices fall between those supplied by government and those delivered by the private sector. A perceived gap exists in the monthly income requirements for the prospective owner of between R3 500 for government housing and R15 000 for private. Theses levels of income are too little to enable them to participate in the private property market, yet too much to qualify for state assistance. 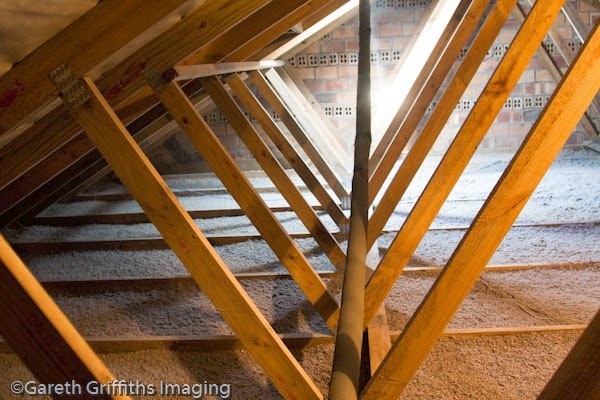 Eco-Insulation was contracted to install ceiling insulation to specification SANS 10400 XA Code of Practice.This means that product had to be pumped into the ceiling of each residential unit to a thickness of 135 mm. Each housing unit (pictured) which vary in size between 48m2 to 74m2 in area and are constructed in compliance with the SABS Energy Saving codes of practice. Are you a housing developer? Just a word of advice. Beware of unscrupulous insulation sub-contractors who under-quote the good established brands and then recover their discounts by using less material - i.e. installing less insulation or insulation to a lower installed depth than that specified by the authorities. 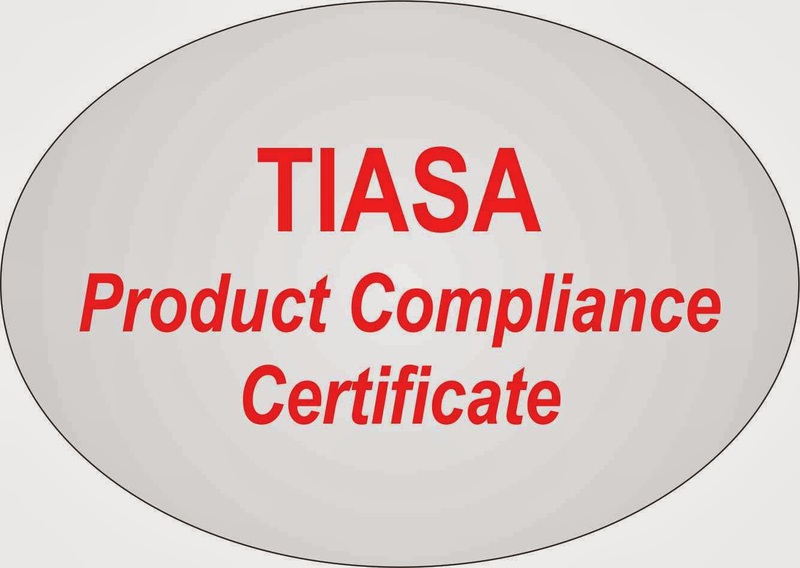 Eco-Insulation is a proud holder of the Product Compliance Certificate issued by our industry association, Tiasa. In fact we were one of the first brands to receive this certification. Developers and project managers in the various housing sectors are increasingly seeking one-stop solutions to meet the requirements of SANS 10400 XA regulations, ensure their projects are energy efficient and provide comfortable living space for the owners. The regulations can however be confusing, so here's how it really works. Insulate above the ceiling, under the floor or even inside the walls - to keep cool in summer, warm in winter and to save energy. For the property owner, means less electricity or gas usage and therefore real savings in your pocket. For the developer, it means total compliance with the specified R-value for the roof, under national building regulations. Because Eco-Insulation resists the flow of heat, less heat will be lost from the home or office in winter and less heat will enter the building during summer. As a form of energy, heat always flows to a cooler area, escaping out of the building in the winter and entering the building during summer. Eco-Insulation creates a thermal barrier that controls temperature all year round. As well as energy saving, home insulation also acts as a sound suppressor. 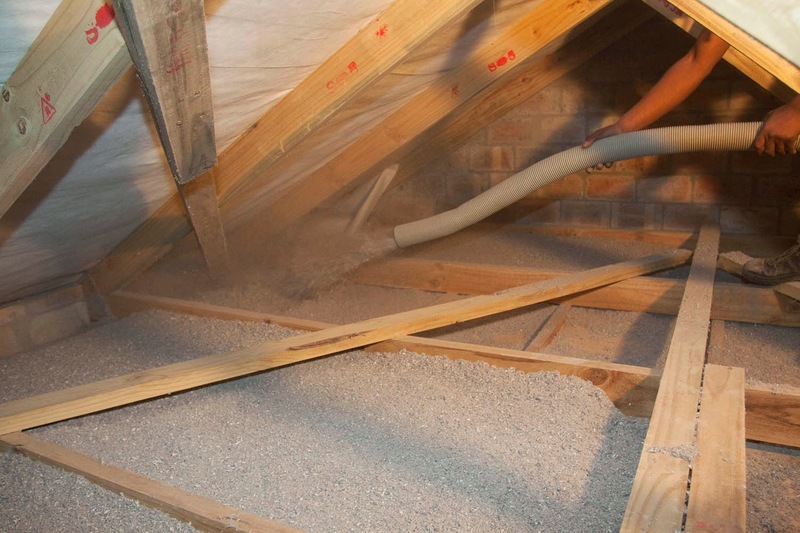 In modern noise-laden environments, increasingly more homeowners are soundproofing their homes. A well insulated home will increase its overall comfort and add to its resale value. In today’s times of rapidly rising energy costs it pays now more then ever to insulate and make your home an energy saving home. Eco-Insulation not only offers the Ultimate Climate Control, it is also the ultimate green building product, too. 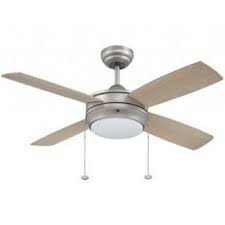 Helping the environment and protecting you and your family against the intensifying effects of global warming. Visit our website find out about the ultimate green product. Eco-Insulation is also listed on the Specifile online service, where the project manager may draw further technical information. Eco-Insulation, the brand, has developed a great reputation among retrofit clients and developers of new projects, as can be seen by the great number of positive comments on Hello Peter and the website. It is a serious brand that has earned its technical endorsements by standards organisations including SABS and TIASA. So demand to see an up to date Product Compliance Certificate next time you call for an insulation quote. 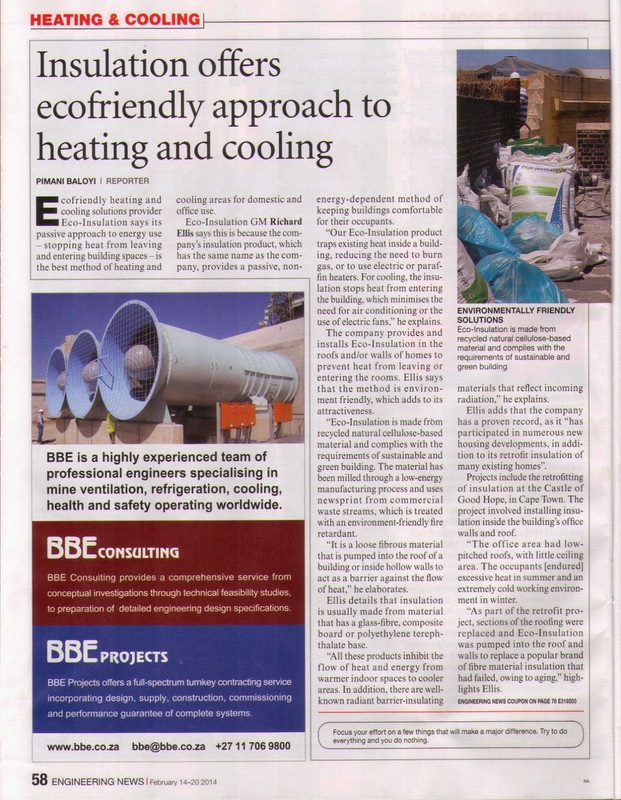 Eco-Insulation was one of the first suppliers to qualify. Best of all, installed in the home or office it's not expensive. You get payback on your well-spent Rands over a period of months and not years. Your favourite green brand, Eco-Insulation, is the perfect retrofit option due to its unique method of installation and minimal impact on other building site activities. "This has made the company very accessible to housing developments where the company takes it's energy efficient, on time and on budget maxim very seriously”, says our general manager, Richard Ellis. 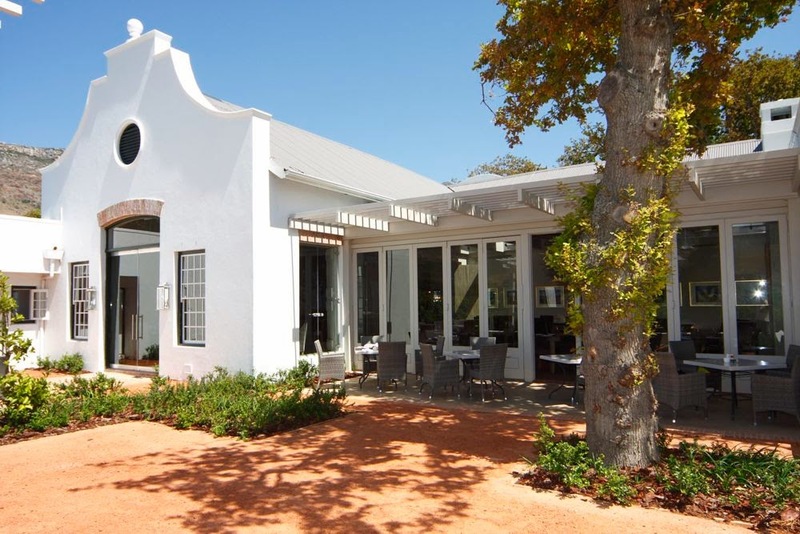 Outstanding retrofit projects have included two very interesting national landmarks, Cape Town's Castle of Good Hope and the Steenberg Hotel and Spa complex – among the oldest buildings in South Africa. In the case of the Castle, Eco-Insulation was pumped into place during the scheduled replacement of the entire roof over the admin block inside the Castle. Workers equipped with PPE remove early generation insulation. At the Steenberg Hotel, a flat roof over the famous restaurant received the Eco-Insulation treatment – quickly and efficiently. What is important about both these installations is the adaptable and non-invasive nature of the process. 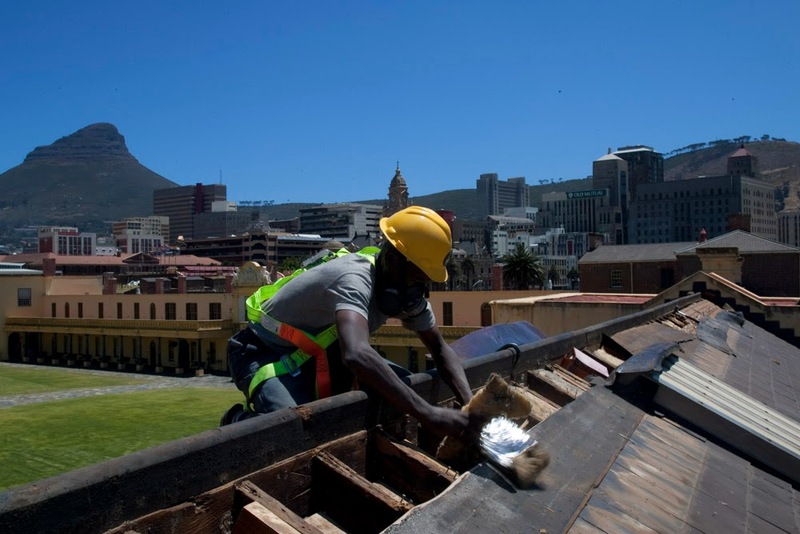 The installer's teams work alongside the roofing contractor to get the job done. 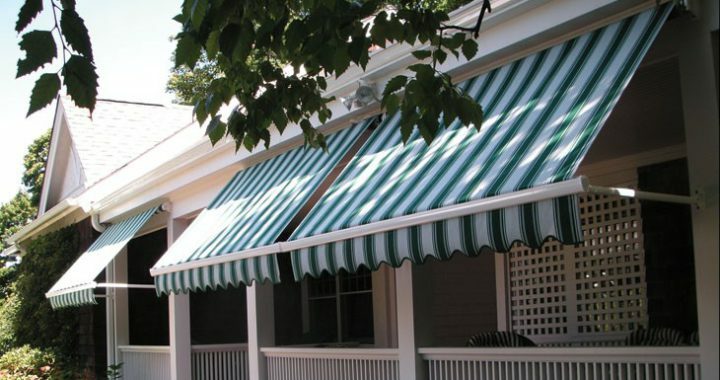 In addition, the coverage is 100%, which is not always easy for other products and methods of installation that cannot access every nook and cranny of the roof.